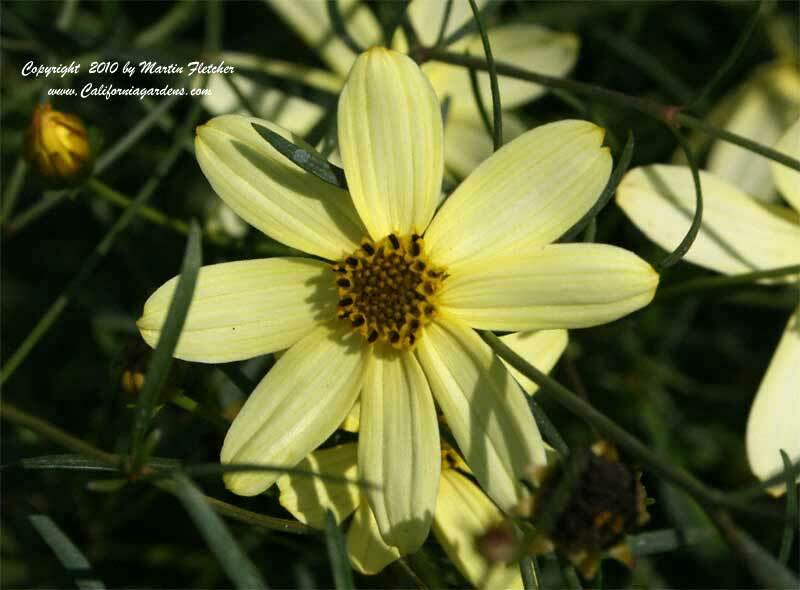 Coreopsis verticillata Moonbeam lights up a garden with the pale yellow flowers. The fine foliage is a plus in a small garden. The fine texture makes the place feel bigger. Coreopsis Moonbeam is a bit of a bother to cut out the blooms as they pass. It is worth it if there aren't too many plants in your garden. Coreopsis Moonbeam gets cut nearly to the ground for the Winter. I try to mix things up so if you chop down something for the Winter there isn't a huge gap. Flowers and foliage of Coreopsis verticillata Moonbeam. High resolution photos are part of our garden image collection.